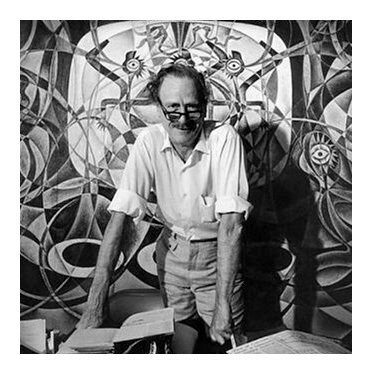 Imaginations, a peer-reviewed “multilingual, open-access journal of international visual cultural studies,” published a special issue of essays on McLuhan’s processes as they relate to art theory, the reaches and deficiencies of his scope, his collaborative projects and the thinking he continues to inspire in December of 2017. To ease into the anthology, Mohammad Salemy’s brief essay on McLuhan’s role in the 1967 international media event produced by the BBC, Our World, is a fine place to start. Including a transcript of McLuhan’s first words to the global masses, Salemy highlights McLuhan’s prophetic consciousness of the impact this new immediacy in communication would have on human culture. In an attempt to lift humanity from its anesthetized acceptance of the perceived inevitability of sociopolitical systems, McLuhan turned to artists to recontextualize the familiar. Kenneth R. Allen’s essay exploring “Marshall McLuhan’s Counterenvironment within the Stream of Defamiliarization” traces the lineage of these processes to early 19th century thinkers. 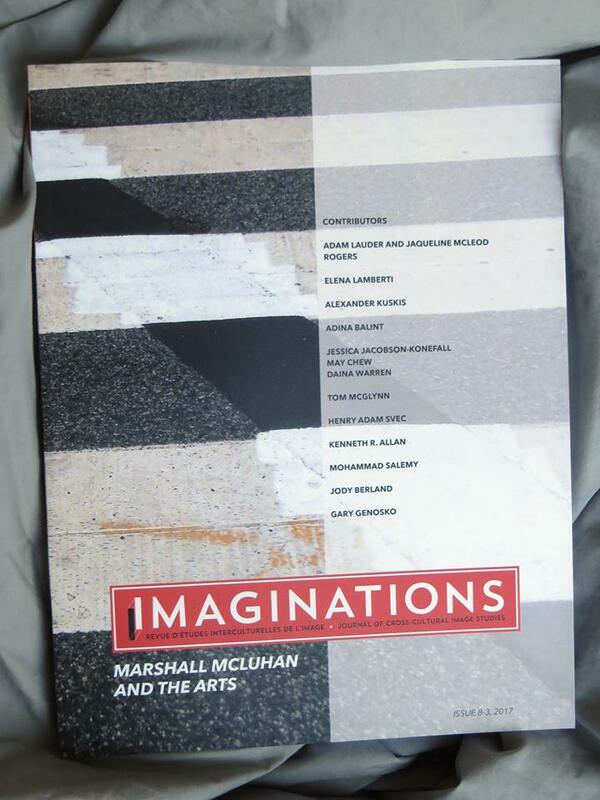 McLuhan’s taste for creative collaboration came from his desire to tackle “things from many angles at once.” A few essays in this issue of Imaginations explore specific project-based relationships with a healthy dose of sentimentality. Both Elena Lamberti and Alexander Kuskis’ contributions illuminate McLuhan’s digestion and elevation of the works and philosophies of sculptor/filmmaker Sorel Etrog and mixed-media collage artist P. Mansaram, respectively. Jessica Jacobson-Konefall, May Chew and Daina Warren challenge McLuhan’s theory of media as message through the content-driven work of Cree multi-disciplinary artist Cheryl L’Hirondelle and bring to light McLuhan’s own perceptive limits based in anthropocentric colonial ideologies. Jody Berland’s contribution encourages defamiliarized reflective observation through the lenses of the animals humans interact with on domestic and agricultural levels. Particularly poignant in the age of “fake news” is performance artist and writer Henry Adam Svec’s journey into “hoax art” and its relation to McLuhan’s media theory and creative practice. Svec plays into the power of suggestion with humour and delight. These, among the rest of the essays in the collection, offer an invaluable bibliography on media theory and McLuhan’s influence and influences. Though some contributions may require some auxiliary research to fully absorb, this special issue of Imaginations only deepens the rabbit hole for curious minds searching beyond familiar systems for humanity’s true reflection.